Building the intelligent company will gather innovators and entrepreneurs, policymakers, business leaders, scientists and futurists for frank and forward-looking discussions about how (and why) to build companies that harness the potential of AI. Where is AI poised to make the biggest impact? Can it create significant value, or will it undermine existing business models and place jobs at risk? And what will the future look like in the presence of true artificial intelligence? 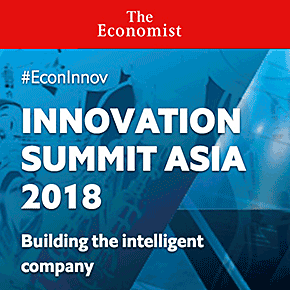 The Economist Events’ Innovation Summit will gather innovators and entrepreneurs, policymakers, business leaders, scientists and futurists for frank and forward-looking discussions about how (and why) to build companies that harness the potential of AI.